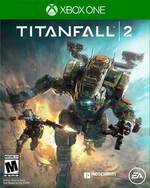 From Respawn Entertainment, the studio that brought you the award-winning Titanfall, comes Titanfall® 2. In single player, an aspiring Pilot and a veteran Titan combine forces to save their own lives and combat a powerful enemy against all odds. Multiplayer offers brand new Titans, expanded Pilot abilities, and deeper customization to elevate the fast-paced and exciting gameplay fans expect from the series. An explosively amazing campaign, the same solid multiplayer with new modes and mechanics, lots of customization and excellent performance - Titanfall 2 is a keeper. The end result is a collection of fantastic mechanics across its campaign and its multiplayer that often feel hamstrung by difficult to understand design choices. There's clearly more here than before, and the package is offering something more "complete" by today's standards. But Titanfall 2 throws the series' dynamics off enough to make for something that just doesn't quite click together as well as it did before. In the end, I do hope that Titanfall 2 finds success, as it has definitely earned its keep. The game is a newcomer in a sea of remasters, a sharp and satisfying FPS that continues 2016’s trend of amazing single player campaigns without skimping on the deathmatch. It’s a sci-fi game that’s not afraid to go for a fun tone and still brings the serious character moments where it counts. Titanfall 2 is a major surprise. I was expecting to love the multiplayer and to tolerate the campaign, but I love everything about it. Respawn isn’t just making Call of Duty with mechs. It has found its own way, and that has paid off with a special game. Its feelgood movement is the foundation for both the engaging action and platforming gameplay of its strong campaign and its over-the-top competitive multiplayer. With bolstered progression, customization, variety, and a fleshed-out story, Respawn has made good on its original vision with Titanfall 2. And bottom line, it’s just damn fun to play. Titanfall 2 demonstrates a vitality that its predecessor couldn't. Whereas the first Titanfall kept up its breakneck pace throughout the entirety of every match, Titanfall 2 understands that sometimes, dialing things back for a few moments can make the long run much more enjoyable. In many ways, Titanfall 2 feels like the game Respawn should have made in 2013. It's a fantastic sequel. It's a fluid shooter. It's a spectacular game. Ultimately, different people want different things out of their console-style competitive shooters these days, and the market has split between this type of faster shooter and the larger scale and more deliberate style of a Battlefield game. If you're forever on the Battlefield side of things, this type of high-speed action might not be up your alley at all. For my part, Titanfall 2 improves greatly upon the first game and stands up there alongside some of my favorite games in the Call of Duty franchise. Titanfall 2 is one of the most joyful gaming experiences of the year. There are lots of games with heart and excitement, but Titanfall 2 manages to combine almost everything that was a strength for the first entry and build on it with loads more personality. Its praise is well-deserved, and it's apparent that a lot of heart and soul were poured into it. Don't hesitate to pick this one up, folks. 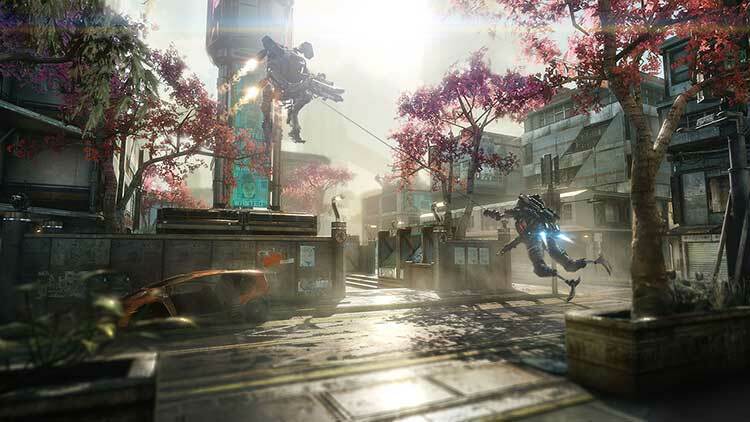 Everything that makes a shooter fun - mobility, action, and a sense of empowerment - has been perfected here, and we're already waiting to see what Respawn does next. 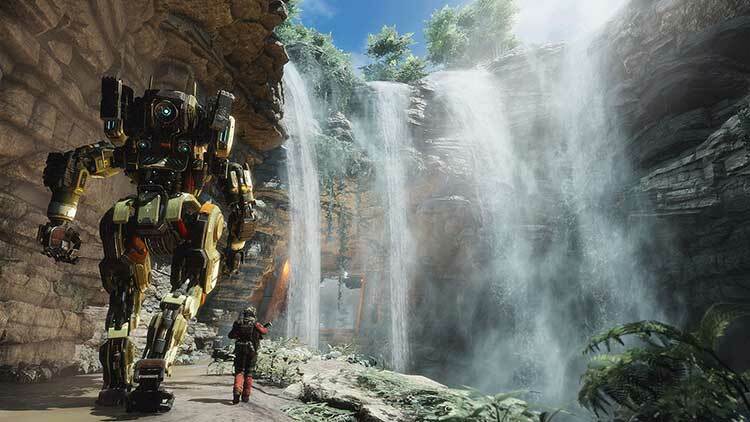 Kalau kamu gemar dengan genre FPS, serta ingin permainan yang cepat, unik, dan melibatkan aksi robot besar, maka Titanfall 2 sebaiknya menjadi game incaranmu selanjutnya. Meski game ini dirilis di antara Battlefield 1 dan Call of Duty: Infinite Warfare, Titanfall 2 adalah sebuah FPS yang tidak kalah menarik. There's more variety, refined systems, and a wealth of mechanics that facilitate exciting and adventurous play. Simply put, Titanfall 2 has got it all, and if you're after a sci-fi shooter to lose yourself in for the foreseeable future, we'd recommend you make this your next port of call. 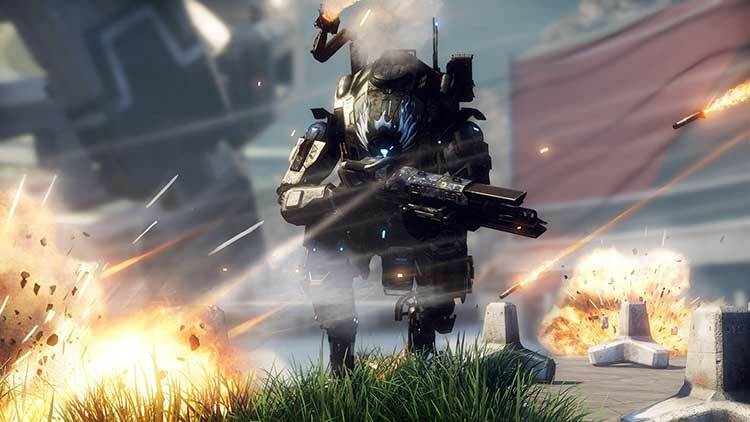 Titanfall changed the trajectory of the FPS in a powerful and immediate way, and that success isn’t to be simply re-created but iterated upon dutifully. 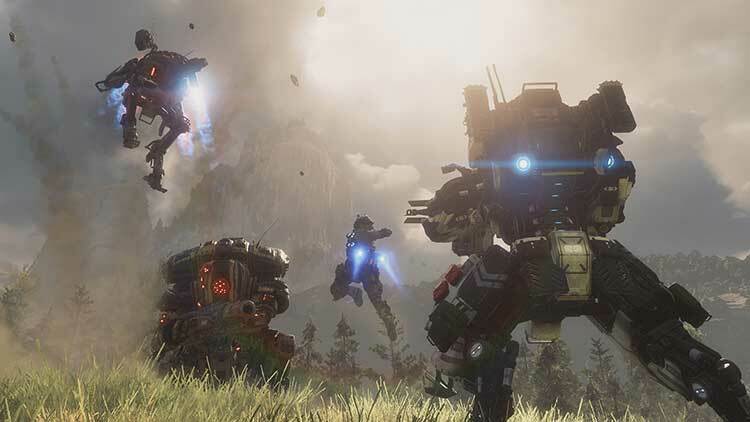 Despite Respawn’s best efforts, the game’s obvious advancements and its spectacular engagement across multiplayer, Titanfall 2 doesn’t offer the same determined focus and balance that defined its predecessor. 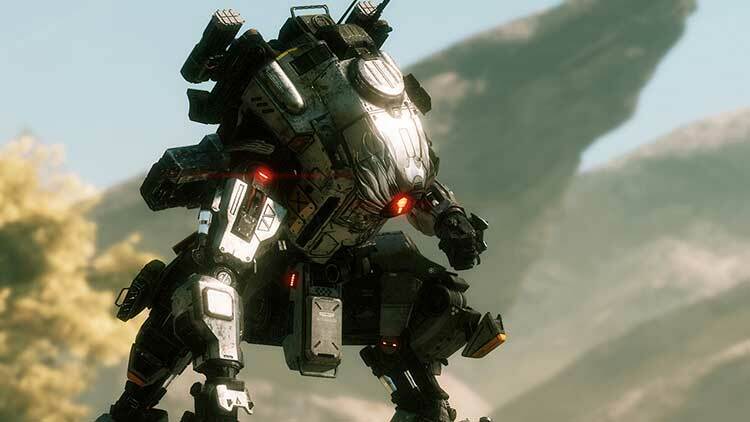 Titanfall 2 is a gigantic stompy robot that for whatever reason is slipping by gamers unnoticed. This is a travesty, as it's an incredible title – easily one of the best of the year. Amazing campaign level design. Fun new mechs and Pilot abilities. Peerless multiplayer. Cloak ability feels overpowered in the low time-to-kill multiplayer. Currently small player base. Titanfall 2 es un ejemplo de cómo hacer buenos juegos. Tiene una campaña espectacular y un multijugador que se ha rediseñado para ofrecer un mejor equilibrio. Aun con sus problemas, como una campaña corta o el justito apartado visual, Titanfall 2 es un juego muy a tener en cuenta. Titanfall 2 nos ha sorprendido con su campaña, llena de ideas atrevidas y diferentes al shooter cinemático tradicional, mientras ofrece un multijugador más sólido y con más empaque, capaz de ofrecer una mayor versatilidad a medida que progresamos por todos sus niveles. Una obra frenética, que va más allá de ser el mejor en apuntar y disparar, que enriquece el género y lo dota de un nuevo atractivo para quien cree que ya lo había visto todo. El nuevo sistema de personalización es un gran acierto así como la nueva variedad de los titanes. Con una campaña aceptable, un estupendo multijugador y uno de los mejores controles de los FPS actuales, Titanfall 2 regresa firme y como un sólido candidato a estar entre los mejores juegos de disparos en primera persona del año. Titanfall 2 mejora en cada uno de sus aspectos al título original de esta serie, evolucionando su jugabilidad hacia algo menos frenético y más estratégico. Al mismo tiempo pretende dar mayor recorrido y profundidad a la evolución jugable, para evitar la huida de jugadores que experimentó el primer juego tras unas semanas en el mercado. Por más insipiente que sea la campaña, al menos ésta vez existe una y el frente online ─que sigue siendo la carne del emparedado─ es todo lo que deseábamos desde hace 3 años y más así que, nos parece que Titanfall 2 es un shooter tremendamente divertido, con identidad y muy bueno, para terminar pronto. Titanfall 2 a enfin une vraie campagne solo, et réussie de surcroît ! Offrant un scénario maîtrisé et de très bonnes idées, elle complète une expérience de jeu déjà solide avec un multijoueur au gameplay nerveux, densifié et encore plus efficace que dans le premier Titanfall. Pari relevé donc, pour ce deuxième opus qui ne reproduit pas les mêmes erreurs que son aîné et devient un concurrent accompli pour les autres titres du genre. Attention, Titan en approche ! La variété de l’arsenal ainsi que la multitude d’améliorations disponibles permettent de créer un nombre de combinaisons d’équipements impressionnant et chaque joueur aura à cœur de trouver ce qui lui convient le mieux. Avec de nombreux modes de jeu originaux et un contenu assez costaud pour occuper les joueurs pendant longtemps, Titanfall 2 s’impose comme l’un des FPS phares de cette fin d’année. Titanfall 2 est une vraie réussite. Grâce à son multi surboosté, auréolé de modes de jeux variés (dont l’excellent Bounty Hunt), ou encore grâce à ses classes de titans et à son éventail d’armes et de capacités, le titre s’assure une bonne durée de vie en ligne. De plus, Respawn entend bien garder sa communauté sans ajout de contenus payants post-sortie, ce qui est une excellente chose si le support arrive à suivre. Titanfall 2 è un ottimo titolo, che è riuscito nettamente a risolvere i problemi contenutistici che affliggevano il primo capitolo. Il gioco sorprende per la validissima campagna single player offerta, in grado d’intrattenere brillantemente il giocatore, con delle buone trovate di game design, che non la fanno apparire ludicamente scontata, come quella di molti shooter usciti negli ultimi anni. I veterani troveranno la stessa formula ma rifinita e perfezionata, i nuovi arrivati possono salire a bordo dei titan per scoprire uno dei titoli online più interessanti e divertenti in circolazione. Nel complesso Titanfall 2 si pone come terza opzione della stagione multiplayer FPS andando a rompere un duopolio ormai stabile da anni. Да, игра совершает совершает массу ошибок, но их можно простить. Все, кроме одной, критической — самоуверенности. Titanfall пытается на равных сражаться с мастодонтами. Но бьётся по их правилам, их оружием и не использует в борьбе собственных сильных сторон. Результат закономерен: хорошая, но нишевая игра несмотря на все усилия остаётся хорошей, но нишевой игрой. Насколько спорный у Titanfall 2 сингл, насколько же правильный на всех уровнях мультиплеер. Кого-то смутит, что игра все еще рассчитана на маленькие команды (не больше 16 человек на карту), других — достаточно простые режимы (есть отклонения, но все в рамках привычки), только это уже вопрос предпочтений. Главное: существенно расширившись, мультиплеер Titanfall 2 не потерял фокус. И порой поразительно, насколько точно и ловко в нем все складывается. Het is duidelijk te merken waar de prioriteiten van Respawn lagen tijdens het ontwikkelen van Titanfall 2. Dit beeld lijkt bevestigd te worden wanneer je kijkt naar de lijst met achievements, waarbij er van de 50 achievements maar 3 toebedeeld zijn aan de multiplayer, die ook nog eens binnen tien minuten gehaald kunnen worden. Natuurlijk zeggen achievements niet alles, maar dit is toch wel opvallend weinig. Respawn sparkar bokstavligen in dörren med Titanfall 2 och kastar inte bara ur sig en härlig kampanj sett till ren spontan spelglädje, utan lyckas också utveckla flerspelarläget. Med en kampanj som jag kommer att minnas för sina sekvenser snarare än sina dialoger och ett flerspelarläge lika frustrerande som underbart, kan jag inte rekommendera Titanfall 2 tillräckligt.